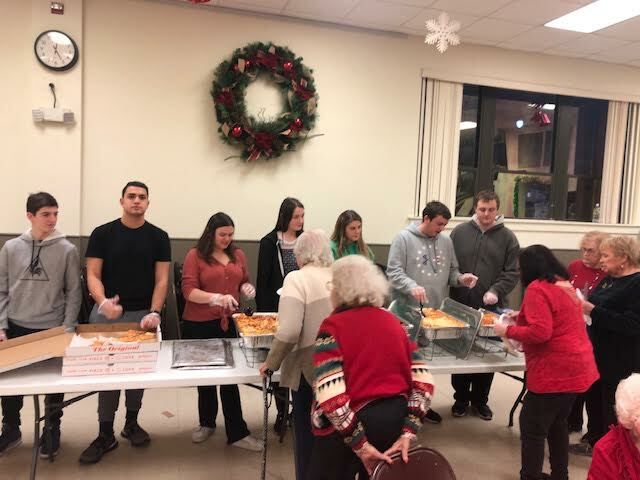 Members of the Lynbrook High School Key Club hosted their annual holiday party for senior citizens at the Lynbrook Recreation Center last month. The special event brings students and community members together in the spirit of the holiday season. The senior citizens shared stories from when they were in Lynbrook schools and their life experiences. Additionally, they offered advice to students about future endeavors such as joining the workforce and going to college. Key Club members shared stories with the community, served food, cleaned up dishes and gave away prizes from local community stores at the event. “I’ve been part of this event for the last four years, and each year is as rewarding as the last,” said senior Jesse Candel. Key Club adviser Dr. Benedict Tieniber praised the students for their hard work in making the event a success.